1st Lt. Mary L. Mayes, daughter of Mrs. Alice Mayes, Graham, graduate of Graham High. 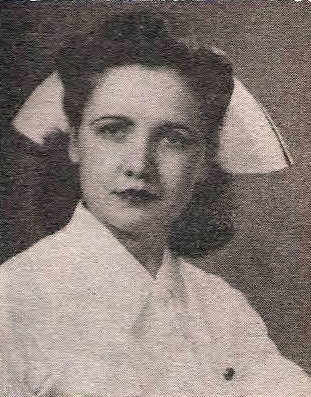 Entered Army Nurse Corps in 1942, trained at Brooks, Gen. Hosp., Ft. Sam Houson, Texas. Served in Australia, New Guinea and Philippines. Awarded Ribbon with 2 Battle Stars, APO, New Guinea and Philippines. Discharged in 1945.